I often find it strange that in my case theological constructs are derived out of my exposure to what many dub as juvenile entertainment, which includes graphic novels. Perhaps there is something that I hit upon as profound in the action-packed artworks that are situated in separate panels that represent individual scenes which make up a plot. After all, human experience unfolds in story and its meaning is fashioned from places, plots, and players fused in real-time. In like fashion Biblical narratives function as vehicles of divine revelation that helps us makes sense (or better yet find) our place and meaning in this sizeable and ever changing storyline that we call life. That perhaps explains why we often find ourselves identifying with the characters in Bible stories because in a way they lay bare a part of ourselves that we exhibit we whenever we cope with the harsh realities of life as well as when we feel like we are brought face to face to the actuality of the divine in our midst. 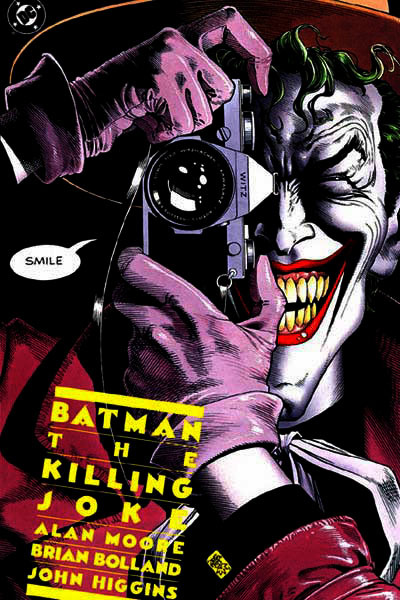 In this reflection for this class on Christian anthropology I would like to turn our attention on the primordial creation narrative of The Fall, looked at from the vantage point of a graphic novel: Alan Moore and Brian Bolland’s Batman: The Killing Joke, where I will attempt to find parallels between the two comic book storylines in relation to the fall of man and the predicament of human existence that follows it.